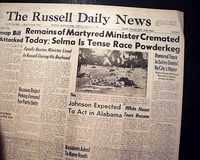 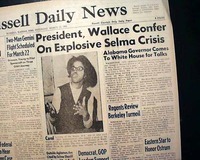 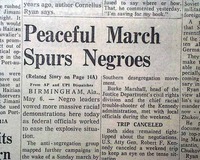 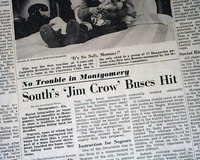 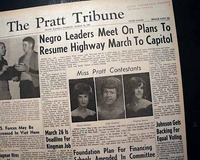 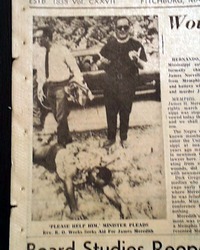 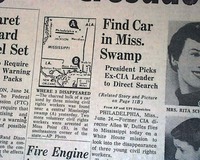 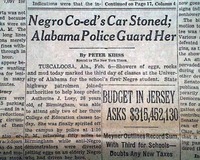 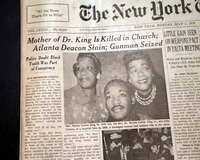 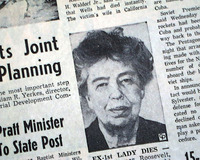 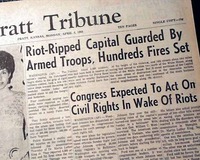 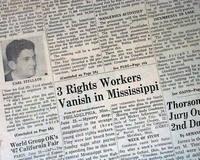 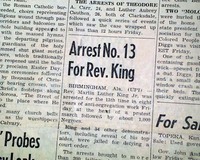 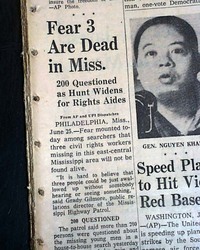 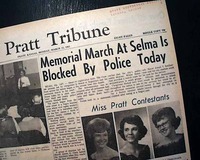 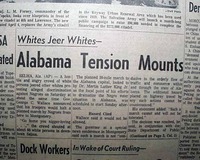 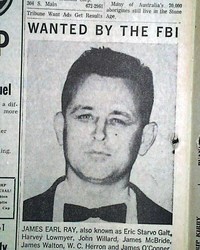 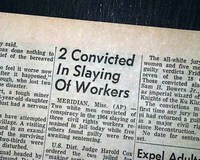 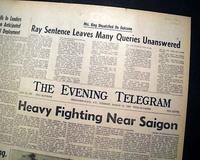 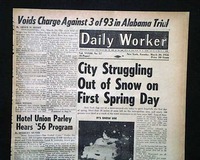 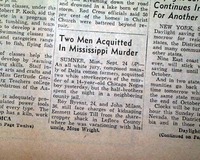 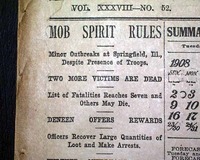 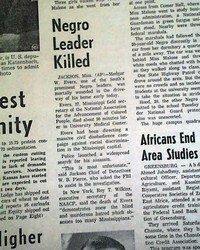 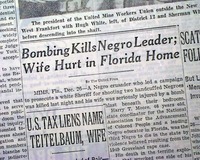 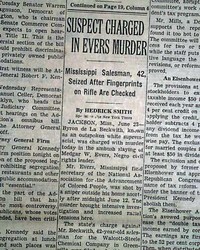 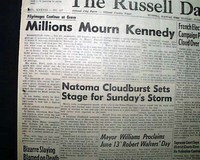 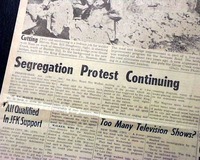 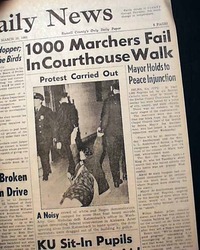 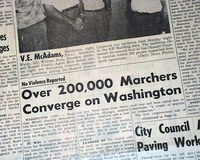 The front page has a two column heading: "3 Rights Workers Vanish in Mississippi" (see) First report coverage on the 3 Civil Rights workers going missing at Philadelphia, Mississippi. 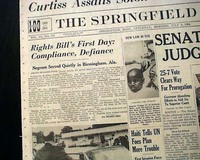 The top of the front page has a three column headline: "Voting Rights Bill Is Signed Into Law". 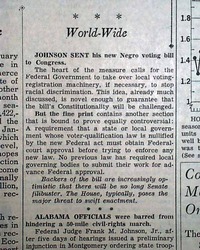 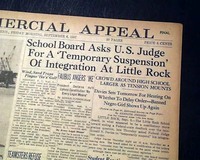 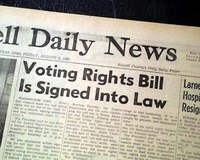 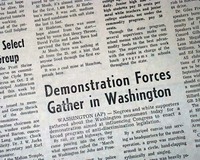 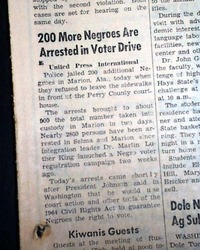 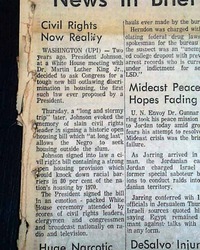 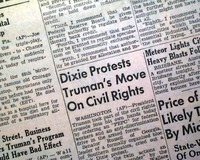 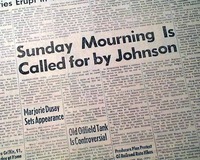 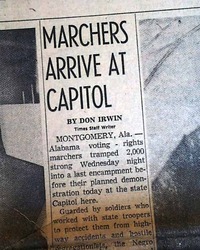 (see) First report coverage on President Lyndon B. Johnson signing into law the Federal Voting Rights Act. 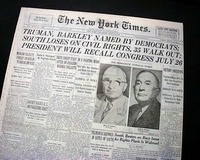 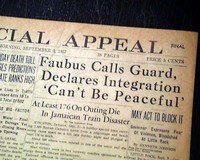 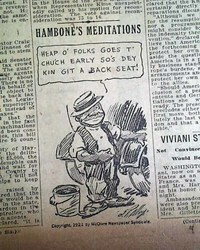 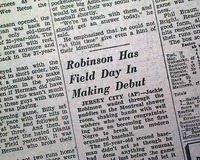 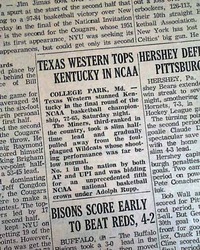 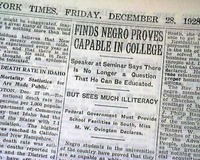 THE NEW YORK TIMES, July 15, 1948. 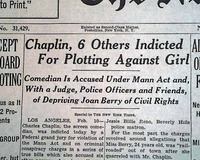 "Chaplin, 6 Others Indicted For Plotting Against Girl"
"Comedian Is Accused Under Mann Act and, With a Judge, Police Officers and Friends, of Depriving Joan Barry of Civil Rights"
This 16 page newspaper has a one column heading on the front page: "Bodies Found In Mississippi". 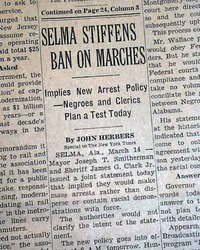 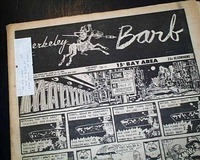 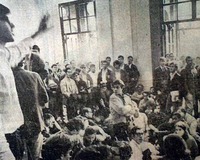 See images for text here.